ChromaLuxe round photo panels are 1.4mm thin and, like the other ChromaLuxe photo panels, have an extra thick coating layer. By using dye sublimation technique, the ink becomes one with the coating by heating. This ensures a very nice shine and depth effect. 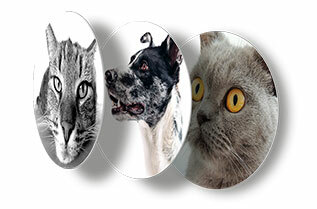 The round photo panels are available in different sizes. 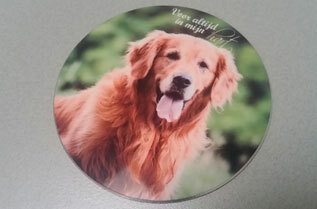 Besides a round photo panel we also offer other shapes. We also have a photo panel with very rounded corners. A black/white photo is beautifully printed on a ChromaLuxe photo panel. The black is deep black and a print looks impressive. A round format photo printout gives a special effect to the photo.It is a bit different again than all those rectangular photos. It gives the photo a different effect and has a playful appearance. Very suitable photos in round format are portrait photos. If multiple portrait photos are being printed, it's fun to use different sizes from around. Are you a portrait photographer? 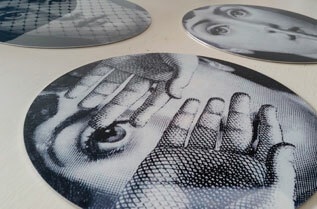 Then contact us quickly to request more about a printout on round. 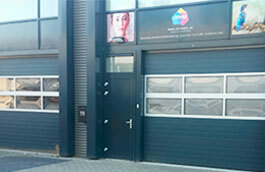 Artists: Discover the possibilities of a photo on aluminium by sublimation. Wall decoration for hotel, office, restaurant, etc. 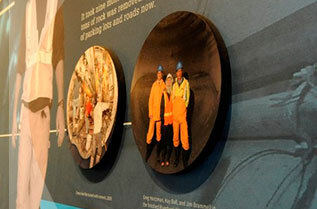 A ChromaLuxe round aluminium photo panel can be hung up using an MDF or aluminium suspension system. With both suspension systems, the ChromaLuxe photo panel floats on the wall. This gives a nice tight effect. In the suspension systems, the suspension system is first attached to the photo panel with a adhesive strip. The photo panel can then be hung on the wall.